I have a phobia of dentists and very sensitive teeth/gums but Dr. Waldman made me feel very comfortable and made thevisit feel like a breeze! I have a phobia of dentists and very sensitive teeth/gums but Dr. Waldman made me feel very comfortable and made the visit feel like a breeze! Reception staff member was extremely helpful and friendly, on the phone & in office. The dental assistant was also personable& professional. 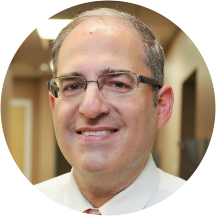 Dr. Waldman was thorough, friendly, helpful, & professional. Even with a full waiting room, the wait time was brief. A great patient turnover rate. Reception staff member was extremely helpful and friendly, on the phone & in office. The dental assistant was also personable & professional. Dr. Waldman was thorough, friendly,helpful, & professional. Even with a full waiting room, the wait time was brief. A great patient turnover rate. Dr. Eyal Waldman graduated from Dental School and completed his Residency at Lutheran Medical Center. His office is fluent in both English and Spanish, and they strongly believe that nothing is more gratifying than seeing your smile at the end of an appointment. The highly skilled and attentive staff and warm office aims to provide all of their patients with superior dental care. Bleaching, veneers,invisalign and crowns are only a few of the services Dr. Waldman provides in order to enhance his patient’s smiles and overall self-confidence. Bery kind and great doctor! He literally checked every tooth even after the X-ray. He walked me through what he was doing and asked me what it was I wanted to do with my teeth. He was great ! We didn't spend too much time together, he referred me to an oral surgeon. Not much time to form an opinion. I will return, in the future, to be fitted for dentures. I will see then and can give a betterreview. It isn't fair right now! The office staff is very friendly, but not used to people with low vision or physically challenged! Well, one cannot ask for everything! Most places are like that, though! ...ie: I walk very slowly and unsteadily with a cane, and can't see very well. When they say "come, follow me" I usually wind up lost, looking for them, as they have left me "in the dust"! LOL...I'm so used to it already...I should hang a sign around my neck "slow moving & half blind"
Told me I had a cavity and didn't do anything to relieve the pain. Didn't get rid of the cavity and also told me to come back in SIX MONTHS without doing anything to repair the cavity!! WTF?? Only complaint is concerning office environment. Poor lighting and dirty surfaces resulted in an uncomfortable visit despite polite bedside manner. He is a great dentist! He is super personable and I had a wonderful experience. The cleaning was quick and comfortable. I was very impressed and I highly recommend him. Dr. Eyal Waldman was instantly welcoming with his light hearted humor and gentle manner. When it was time to drill, he graciously apologized for the pain prior to beginning. When I had questions, he took the time to answer me thoroughlyinstead of rushing to the next patient. I highly recommend him as he is warm, professional, and clearly spoken.